It’s that time of the week when we take a quick look at the top 10 box office films in the UK. Jurassic World: Fallen Kingdom remains at number one for a second week with another impressive set of box office takings for Universal Pictures of over £7.2m. So let’s dig a little deeper into the top ten, these are the figures for UK Cinema Charts June 15 2018. The highest new entry this week is horror film Hereditary which takes the number two spot with box office takings of £1.8m. Meanwhile Solo: A Star Wars Story and Deadpool 2 are at three and four respectively. One new entry that failed to make it into the top ten is the drama The Happy Prince starring Rupert Everett, Colin Firth and Emily Watson. It only managed number eleven and takings of £107,178, that said it only opened in 34 cinemas so it actually did good business. Compare this against another new entry which opened in 306 cinemas, comedy Super Troopers 2 which could only mange twelfth place and box office takings of just £101,881 puts things into perspective. Rounding off our look at the UK cinema is the classic sci-fi film Blade Runner: The Final Cut which again is proving to be highly popular under its Secret Cinema release taking another impressive amount at the box office, £166,756 to be precise from one cinema. 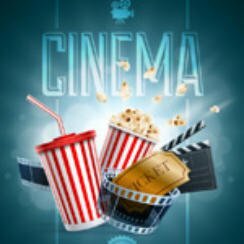 That just abouts concludes our look at the UK Cinema Charts June 15 2018, come back next week to see whether Jurassic World: Fallen Kingdom can hold on to the number one spot on the UK Top 10 Film Chart. and now Jurassic World: Fallen Kingdom.